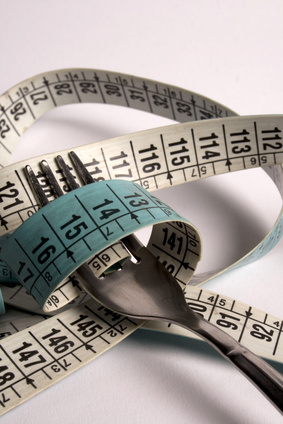 Hospitals recorded 2,290 eating disorder admissions in the 12 months to June 2012; a 16% rise on the previous 12 month period, provisional figures from the Health and Social Care Information Centre (HSCIC) show. Children and teenagers aged 10 to 19 accounted for more than half of admissions in the latest 12 month period (55 per cent of the total, or 1,250); up from 49% (960) in the previous 12 months (July 2010 to June 2011). The biggest number of admissions were for 15-year-old girls (220, or nearly 10 per cent of all such admissions), who also accounted for the most admissions in the previous 12 months (190, or just over nine per cent of all such admissions). Some patients may be counted more than once within these figures because they have been admitted more than once in the same reporting period. • Eating disorder admissions increased on the previous 12 month period by a bigger percentage than admissions overall (16%, compared to a one per cent rise overall from 14.9 million to 15.1 million). • Women accounted for 91% (2,080) of all eating disorder admissions, compared to 88% (1,740) in the previous 12 months. • Anorexia accounted for 74% (1,700) of all eating disorder admissions, while bulimia accounted for 7% (150). The remaining 19% (440) were for “other eating disorders” such as overeating or vomiting associated with other psychological disturbances. • Of eating disorder admissions, 26% (500) were admitted and discharged on the same day, while 5% (90) spent at least six months as an inpatient. Eating disorder admissions had longer hospital stays on average compared to admissions overall. • 92% (2,100) of eating disorder admissions involved no procedure during the patient’s stay, compared to 36% of overall admissions. • Regionally, the highest number of eating disorder admissions by population size occurred in the North East at 5.8 per 100,000 (150 admissions). However, by total admissions, the highest number occurred in London at 440 (5.6 per 100,000). HSCIC chief executive Tim Straughan said: “It might be assumed that a person suffering with an eating disorder is cared for in the community through primary services rather than in hospital; with activity in secondary care only part of a bigger picture. “However our figures do suggest that hospitals in England are admitting a greater number of eating disorder cases than in previous years.